Sometimes, we’re fearless with our writing and content. We know what we want to say, and we pour it onto the page with passion and courage. Other times … not so much. Nerves or a lack of confidence can keep you from publishing excellent work. This week, we’ve got three resources that will get more courage into your content. On Monday, our Gangster Rockstar Ninja Smartypants Data Analyst Loryn Thompson wrote about how to take some practical, simple steps to actually use your data to make better decisions for your content. On Tuesday, our friend Nick Usborne dropped by to share seven things professional writers can learn from that rarest of things: a really good conversation. (I’m a giant fan of #3.) Nick’s approach to copy produces a wonderfully confident, natural voice. And on Wednesday, I talked about how to publish consistently (which we know we need to do), even when there are still flaws in our content that make us cringe. We really can beat creative perfectionism and start “shipping” our content, and I outlined three of the most important elements I’ve found to do that. 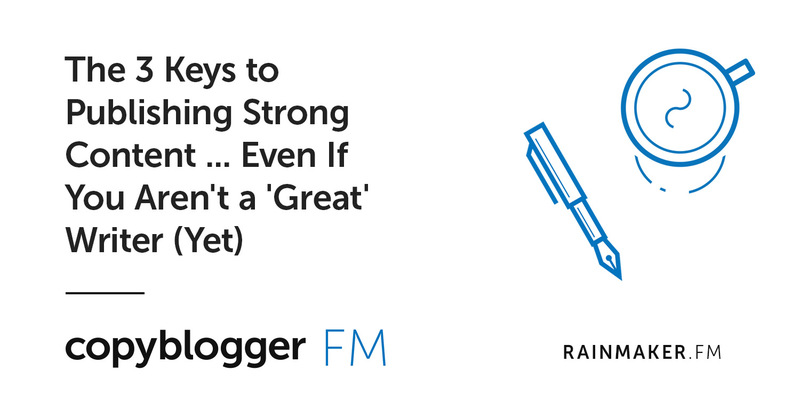 If you like audio content, my Copyblogger FM podcast episode this week is on the same topic as the blog post, so you can choose whichever medium you prefer! 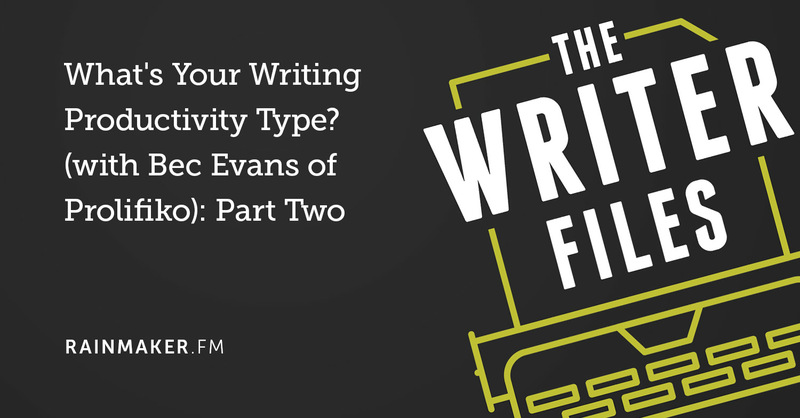 And on The Writer Files, Kelton Reid continued his fascinating conversation with Bec Evans on your writing productivity type. 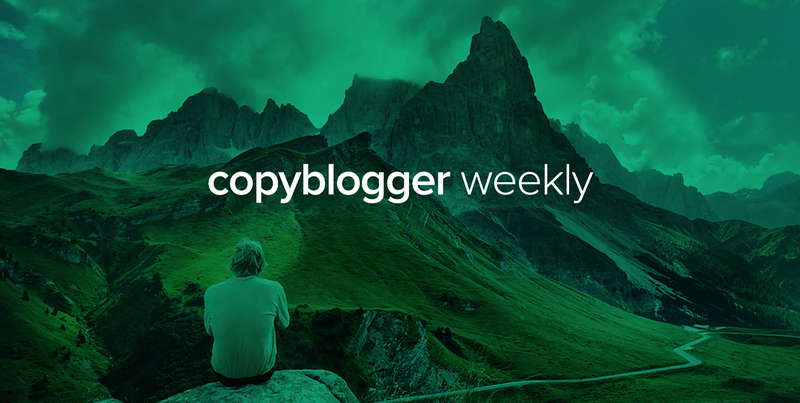 That’s the Copyblogger content for this week — catch you next time! Lol. I can’t stop laughing. That would be a cool job profile to own.